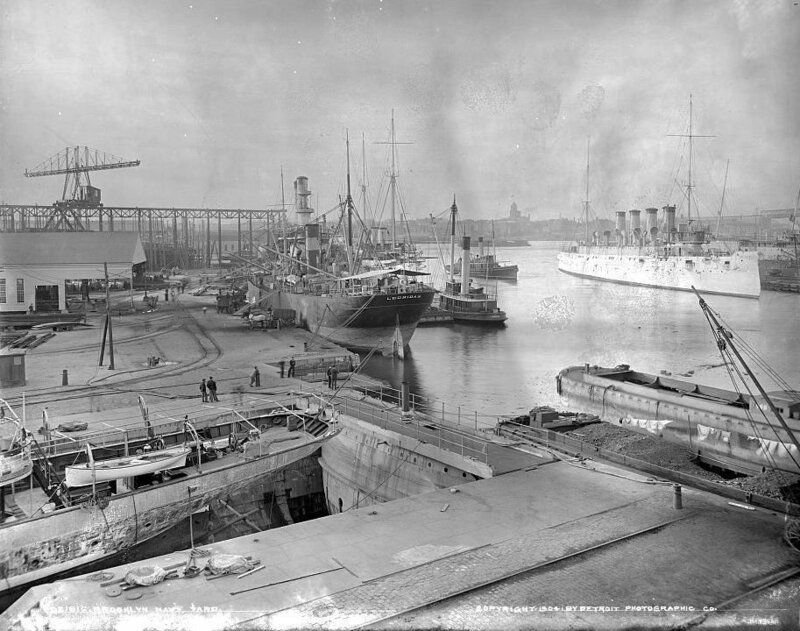 Decommissioned, 27 December 1898, at League Island Navy Yard, Philadelphia, PA.
Decommissioned, 15 February 1909, at Portsmouth Navy Yard, Kittery, ME. 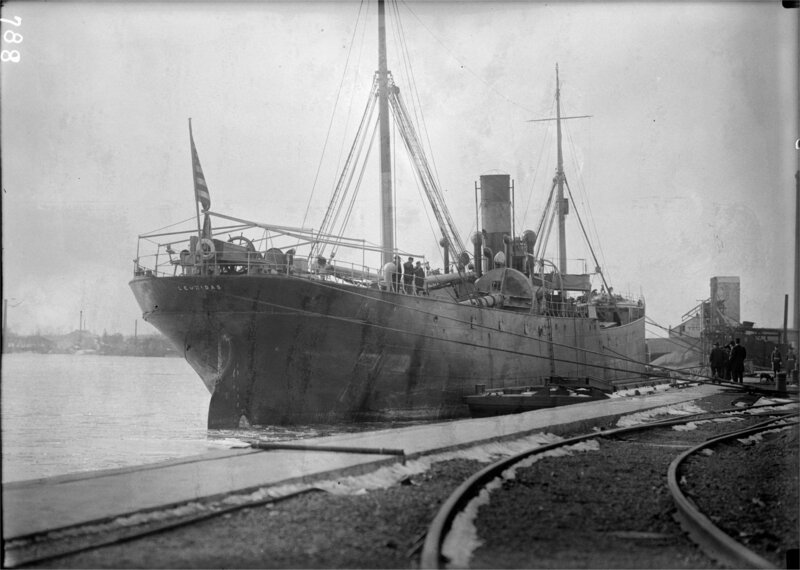 Decommissioned, 3 May 1912, at Portsmouth Navy Yard, Kittery, ME. Decommissioned and Struck from the Naval Register, 28 November 1921 at Norfolk, VA.
163k USS Leonidas at New York Navy Yard, Brooklyn, NY, in 1904. 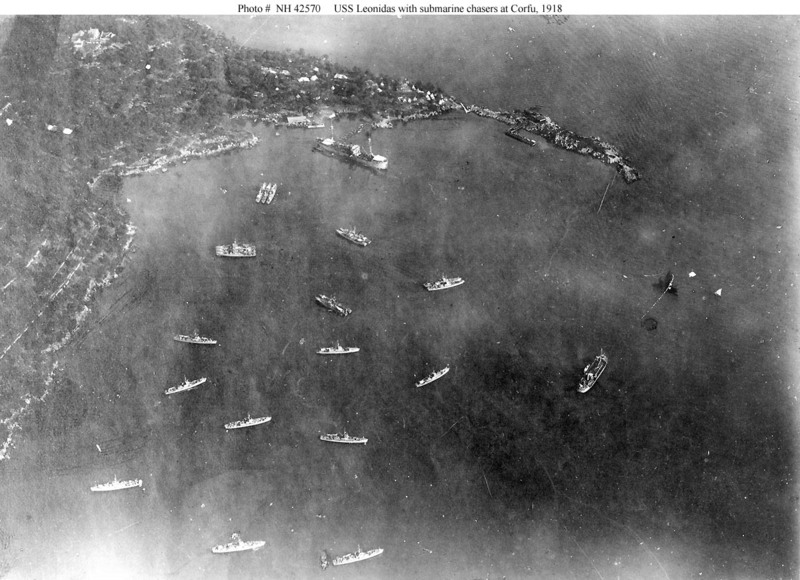 Other ships are unidentified. 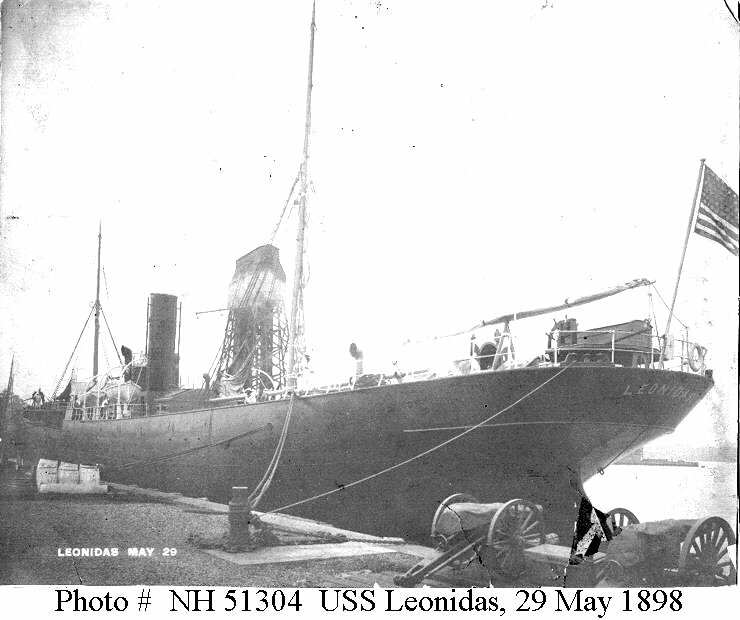 265k USS Leonidas arriving, location and date unknown, with mast of USS Maine. The mast would become a part of the USS Maine Monument in Arlington National Cemetery. Photo by Harris & Ewing, photographer, Created/Published: 1911. 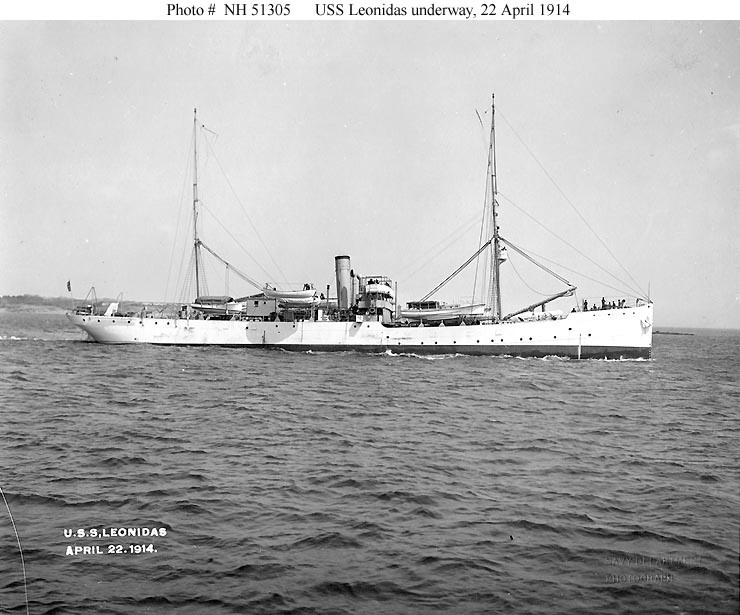 85k USS Leonidas under way, 22 April 1914, while serving as a survey ship. 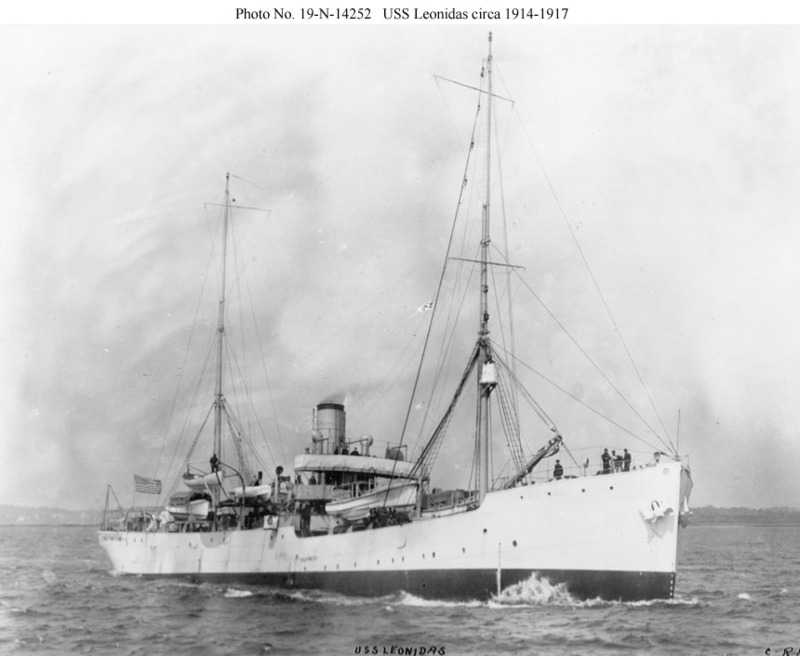 94k USS Leonidas underway while serving as a surveying ship between 1914 and 1917. 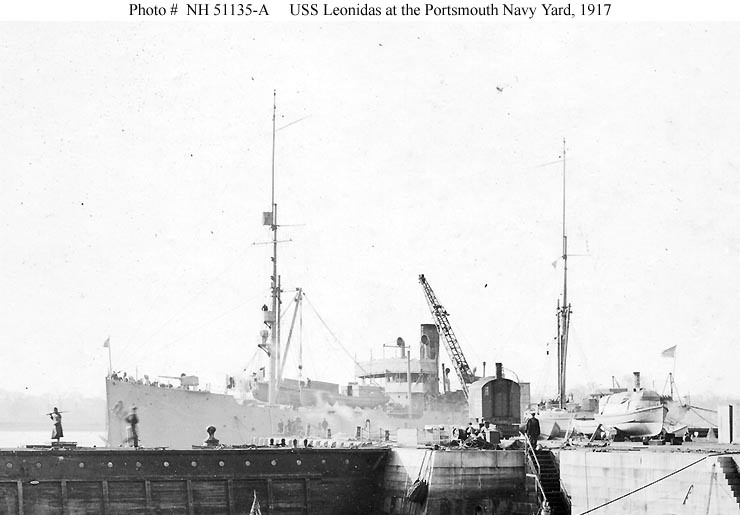 51k USS Leonidas at Portsmouth Navy Yard, Kittery, ME., circa September 1917. She has recently had a gun installed on her forecastle. Note the sentry at left, mobile crane in the center and steam launch on a cradle at right. This image is cropped from US Navy History and Heritage Command photo #: NH 51135. 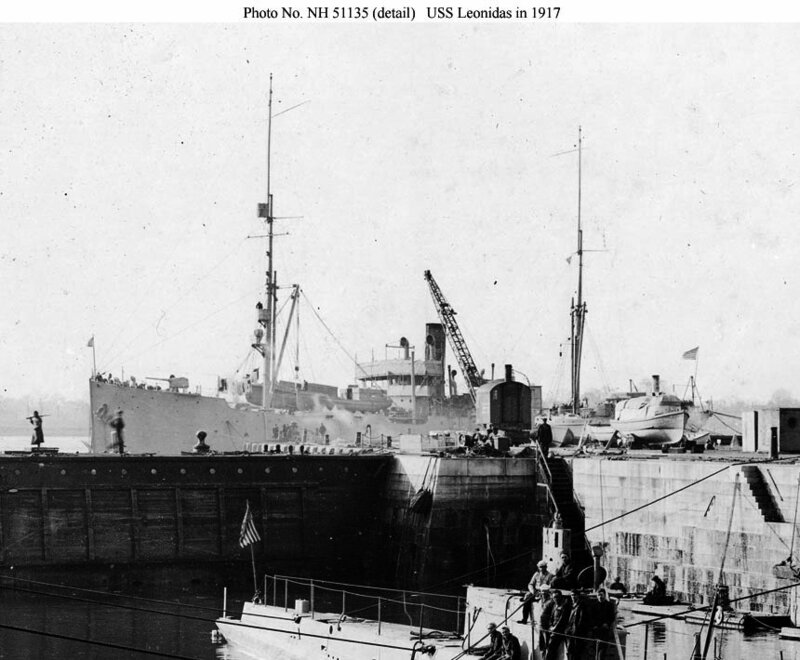 69k USS Leonidas tending submarine chasers and other patrol craft in 1918, probably at U.S. Naval Base 25, Corfu, Greece. Courtesy of William H. Davis, 1981. 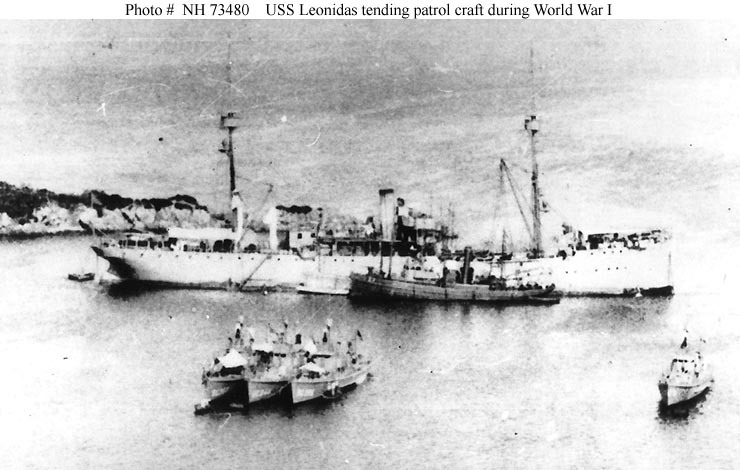 243k USS Leonidas at U.S. Naval Base 25, Corfu, Greece, in 1918. Also present are twenty-one submarine chasers and a small tanker (perhaps the French Mazout). Courtesy of George Breed, University Club, Philadelphia.